Most states have a child caretaker exception to their Medicaid transfer rules. 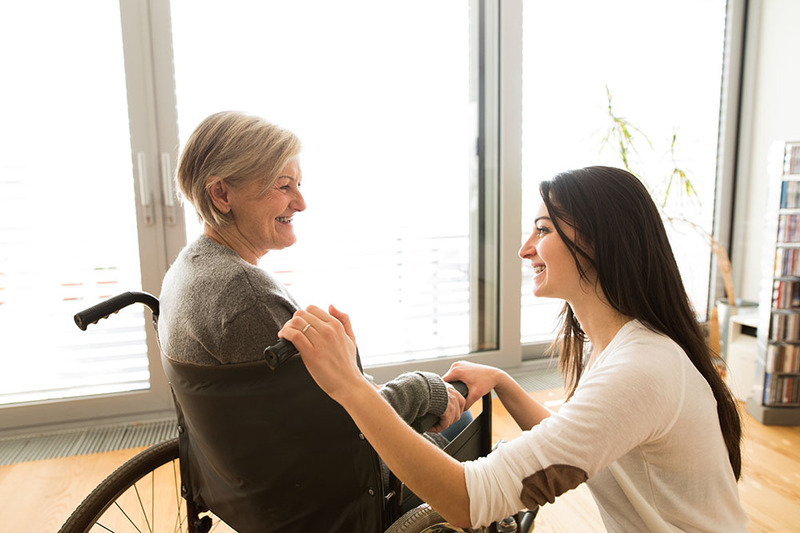 An elderly parent can transfer their home to an adult child who lived in the home with their parent for the two years prior to that parent entering into a nursing home. Such transfer of the home would not violate Medicaid look-back rules. The child must have provided care to that parent that allowed the parent to remain in the home for those two years, instead of the parent needing institutionalized care during that time. A child, for the purposes of this rule, must either be a biological or adopted child. Other relatives – step-children, grandkids, nephews, etc. – do not qualify. The purpose of this rule is to help keep elderly folks out of a nursing home for as long as possible. In a recent case out of Massachusetts, Coko v. Tsai, the court analyzed what evidence should be sufficient to prove a child caretaker exception case. Coko was an elderly woman who transferred a life estate in her home to her daughter who had lived in the home and cared for Coko for at least two years before Medicaid was needed. Coko applied for Medicaid and was denied benefits for a certain amount of time due to the transfer. Coko took her case before a hearing officer and presented evidence to prove the child caretaker exception, including copies of deeds, medical records, an elderly services records review, and affidavits of herself and her daughter. Unfortunately, the hearing officer upheld the denial of benefits. Coko appealed to a trial court. The trial court in this case found that the evidence to establish the child caretaker exception was in the record. The trial court noted that the hearing officer did not discuss the evidence in their decision; the hearing officer did not express what evidence they found credible or what evidence they found was an attempt to skirt Medicaid rules. The trial court stated that it seemed as if the hearing officer had an intent to deny the case and did not consider the evidence. In addition, the trial court stated that even though it was local custom to provide a doctor’s note as evidence for a child caretaker exception, this documentation was not statutorily required and so did not have to be remitted in order to prove the case. So, the lessons from this case are twofold: a denial opinion from a hearing officer should discuss the evidence offered in the case and a doctor’s note is not required to prove a child caretaker exception case in Massachusetts. Some states, like New Jersey, have attempted to add a requirement to the child caretaker exception - that the child is not able to work outside of the home in order to qualify. However, these additions to the federal rule have been litigated and New Jersey is backing off this requirement. The child caretaker exception can be a powerful planning device in elder law. Oftentimes, care is already being provided by a child who lives in the home. Knowing when this exception applies, and what evidence to offer, can be a great tool for elder law attorneys. We discuss the child caretaker exception during our Elder Law Immersion and Practice-Building Camp. The next camp is taking place March 13-15 in Denver, Colorado and has just a couple classroom seats left. See the full program details here and register today before seats are sold out.